You can stay in C position for almost the whole melody. In measure 12, you make a shift to reach with RH 1 and play the low G, which is the only note outside of C position. 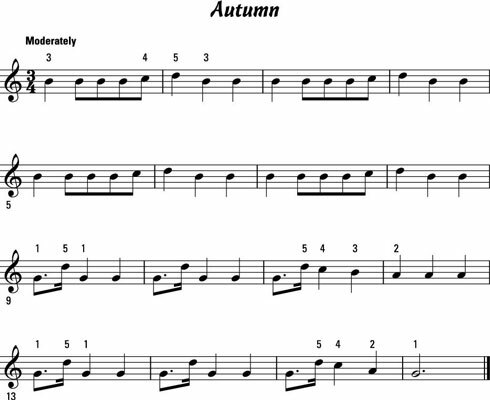 Your RH stays in G position for this melody from Vivaldi’s The Four Seasons. 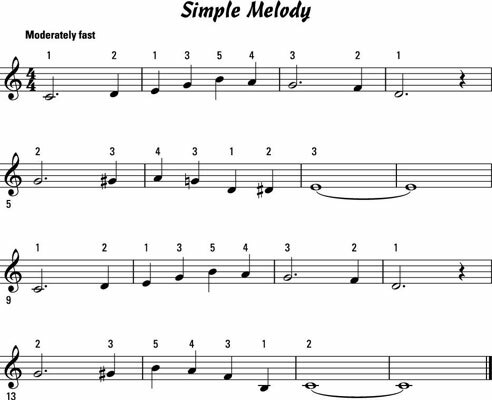 Because of the many repetitions, this melody is a good one for practicing rhythm and counting. This English folk song lets you practice shifting hand positions. 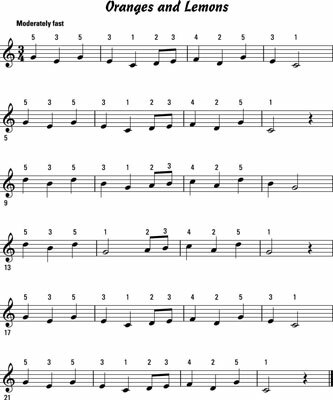 Start in C position, move to G position in measure 8, and return to C position in measure 16 to repeat the opening phrase. Remember to make use of the rests to facilitate the position shifts. 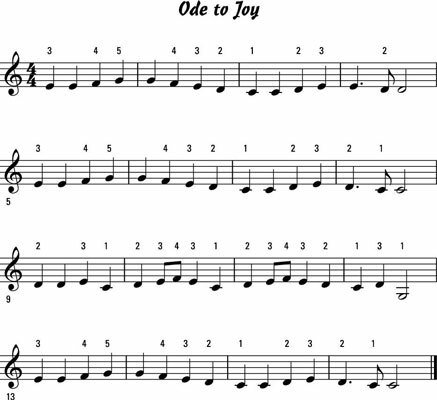 Irving Berlin’s tune gives you the chance to practice passing RH 1 under RH 2. Not so simple? The song is so catchy you won’t mind practicing until the movement feels natural.